The big news of the past week in San Jose Sharks territory is about what didn’t happen. John Tavares didn’t select San Jose as his new hockey home and so the search for a new top center will continue along a different path, perhaps at a different time. But there are recent changes worth discussing. Three key Sharks have re-signed since the NHL’s business year began on July 1. 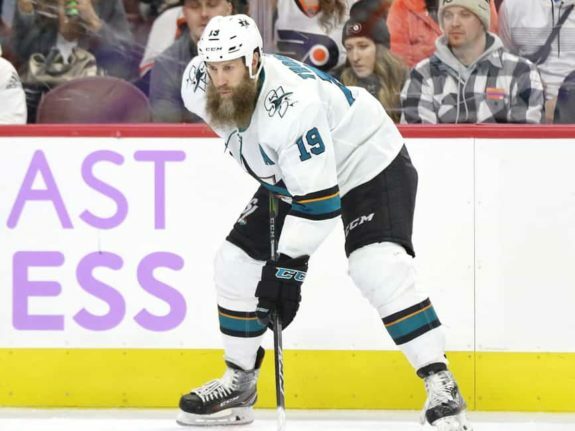 Joe Thornton said yes to another season, this one at $5 million. 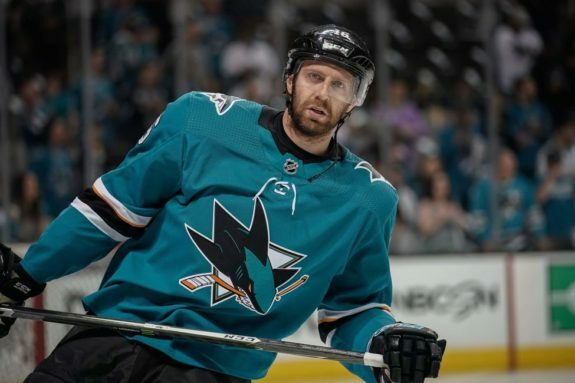 It marks the first contract since Thornton joined the Sharks where he won’t be the team’s highest-paid player. Tomas Hertl signed up for four more seasons at $5.625 million each. Logan Couture brought in the biggest deal, right at the expected mark of eight years and $8 million per. Chris Tierney, a restricted free agent (RFA), filed for arbitration after receiving a qualifying offer from the team. It’s likely the Sharks will retain Tierney, but not a guarantee. It is also possible he’ll be signed and traded. The Sharks didn’t add Tavares, nor did they add anyone else in the NHL’s free agency period. But that doesn’t mean free agency hasn’t impacted the team, which has changed in subtle but important ways since the end of the season back in May. And the Sharks have changed in more significant ways since the start of last season nine months ago. The team parted ways with several players, including the two biggest free agents in team history (as measured by the contract money). Not surprisingly, Mikkel Boedker is gone. He was traded to the Ottawa Senators with the Sharks receiving Mike Hoffman, briefly, in return. Hoffman was quickly dealt to the Florida Panthers, the Sharks netting several draft picks and pick upgrades in the process. Paul Martin was bought out and he’ll count modestly against the salary cap this season and next, as opposed to counting a lot this season. The Tavares free agency bid shaped the Sharks’ actions on Martin and Boedker. The moves were designed to clear cap space for the player who didn’t come. Though many were critical of both players while they played with the club, their departures weaken the team. Martin was respectable in last season’s final month, in part because he was finally healthy. He finished plus-7 in his final 11 regular season games. His partner, Brent Burns, seemed to play his best hockey (or at least his calmest hockey) of the season opposite Martin, going from minus-24 to minus-16. Martin played acceptably in the series against the Anaheim Ducks but as some feared, he was outmatched by the speedy Vegas Golden Knights in the next round. A bad miscue in overtime of Game 3 proved to be the end of the line for Martin. Boedker (and many Sharks fans don’t want to acknowledge this) was good in the 2018 part of the season, including the playoffs. He was top five on the team in even-strength scoring and was a plus-player in 2018 and the postseason. 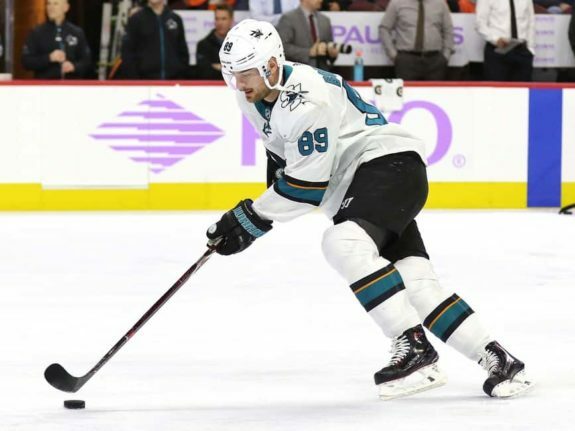 He played on the effective and productive top line with Logan Couture and Tomas Hertl. San Jose won’t miss the 2016-17 versions of Boedker, but the 2018 version earned his pay. 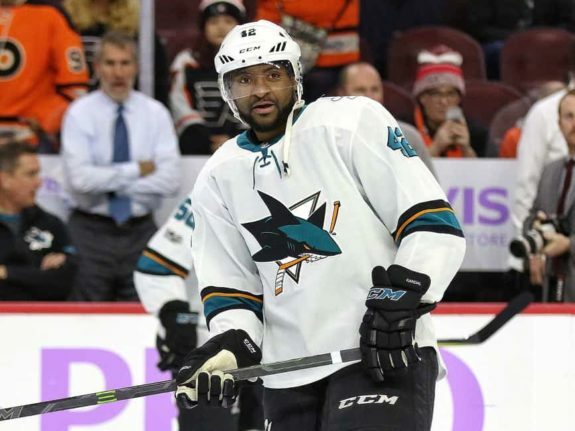 The Sharks also, as expected, parted company with veteran forwards Joel Ward and Jannik Hansen. Neither has found a team yet and while it is possible the Sharks bring one or the other back, it’s unlikely. The Sharks also allowed Dylan DeMelo to hit unrestricted free agency, though it’s too soon to rule out his return. Eric Fehr, who played well in his fourth line role, did find another team. He joined the Minnesota Wild. At this point, the Sharks are down two defensemen from last season which leaves the team with only six proven blueliners. Over the course of a season, a team usually needs eight, sometimes more but very rarely less. San Jose used eight last season. The defensemen with the Sharks’ AHL team, the San Jose Barracuda are, well, dicey. If someone from the Barracuda is going to get an NHL roster spot, he’ll need to play significantly better than expected. More likely, the Sharks make a move to acquire a defenseman from outside or retain DeMelo. Martin and DeMelo combined for 77 regular season games played, about 16% of starts by defensemen. The Sharks are also down forwards. From the start of last season, the team has seen the following forwards depart: Boedker, Ward, Hansen, Danny O’Regan and Ryan Carpenter. Fehr came midseason and is also among the departed. This group combined for 221 games played, equal to 22% of the forward starts. In the same timeframe, they’ve added only one NHL forward, Evander Kane. In total, the Sharks now have 11 experienced forwards signed, with Tierney likely to be re-signed at some point. As of now, the Sharks can almost ice a game-day line-up with 17 skaters. Beyond these 17 skaters plus Tierney, the Sharks have no one who has proven NHL abilities. The Sharks may try a familiar tactic from last season; allow younger players the opportunity to see if they can play their way into an NHL job. Of course, the best players from last season made the jump, leaving the farm system a bit depleted. Dylan Gambrell (who played three non-descript games for the Sharks at the end of last season), Antti Suomela (a forward from Finland) and Rudolfs Balcers are among the top forward candidates. Radim Simek is the top candidate on defense. The Sharks’ 17 skaters (18 with Tierney) are a respectable group but the team obviously needs to add more. Last season, the Sharks used their roster depth to great advantage, the team’s most underappreciated asset. That depth is gone. Gambrell’s three-game stint is the most NHL experience of any player on the Barracuda. Compared to where the Sharks were at the start of last season, they’ve added Kane while subtracting five forwards (Fehr would make six but he was not with San Jose at the start of last season) and two defensemen. Compared to the roster used in the playoffs, the team has added one forward (hopefully a healthy Thornton) and subtracted four. The Sharks have also given up a major albeit under-the-radar asset they had last season: depth. For those familiar with the history of the Sharks’ lower lines and depth players, last year was a revelation. It was the rare season when depth didn’t hurt the team but helped considerably. 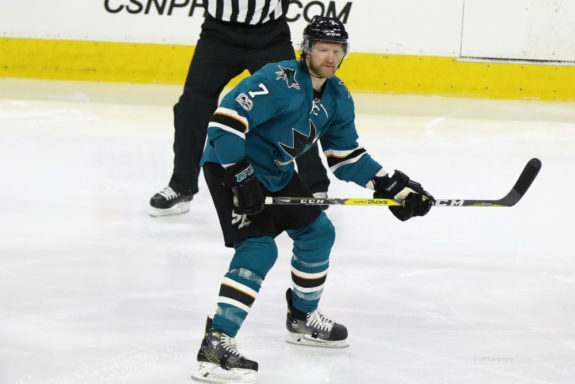 Giving up players like Fehr might not seem like much, but I need only whisper names like Adam Burish, TJ Galiardi and Nick Spaling to send shudders into the hearts of Sharks fans. General manager Doug Wilson has done a lot of good things in his tenure but assembling quality depth, as he did last season, has been a rarity. There is little question that this is a weaker team than the one they iced last season, measured either against the start of the season or the end of it. This Sharks team can compete as long as it remains healthy but this is the NHL and that never happens. The Sharks will need to add depth and get it right. They’ll also need at least one more high-end player to be a genuine competitor. • I’m a bit surprised at the Sharks’ decision to let DeMelo get to free agency. 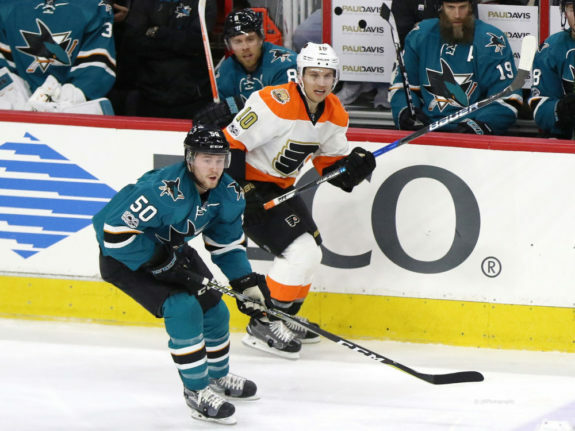 If the Sharks wanted to upgrade their defense, it might have made sense to pair DeMelo with his partner, Brenden Dillon, in a trade. Individual defenders often need to find the right fit with a partner. The two have proven on-ice chemistry and represent a solution for a team wanting an effective, reasonably-priced defensive pairing. The Carolina Hurricanes might have been interested in the pair plus both of next season’s second-round draft picks in exchange for their defensive defender Jaccob Slavin. Slavin could pair with either of the Sharks’ offensive defensemen, Tim Heed or Brent Burns. Meanwhile, Carolina gets a solid defensive pairing, increased cap space, lower salaries and a pair of high picks to enable their rebuild.